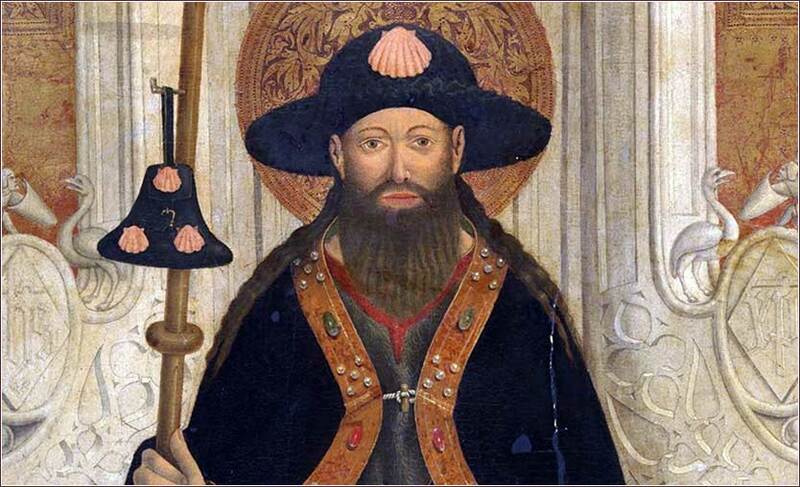 Saint James the Apostle (detail), by Jaime Baço, ca. 1450. Fix It Jesus, by The Canton Spirituals, is a long, hypnotic prayer set to music. It is a form of worship often seen in African-American services, reminiscent of James Brown, Hindu worship, and Gregorian chant; just let the testimony sink in and carry you along. e have a pretty good idea of when James was killed: 44 A.D. 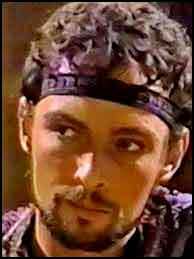 The Herod then in power in Jerusalem was neither the Herod (Herod the Great) who massacred the innocent Hebrew children nor his son (Herod Antipas), who beheaded John the Baptist and ruled during the crucifixion; this one was named Herod Agrippa, grandson of Herod the Great. Like his father and grandfather, he was a “client king” of Rome, which signified a tad more autonomy than what we would call a “puppet”; but he ruled only with Rome’s approval. There were Herods galore during this period; it isn’t really necessary to keep them straight, as they were all Jewish kings, clients of Rome, and viciously anti-Christian. Herod Agrippa was as ruthless as his predecessors and did not have the religious scruples of the Sanhedrin (although he was supportive of them). If he did not like someone, he killed them. He simply ordered James to put to death by the sword—probably beheaded. 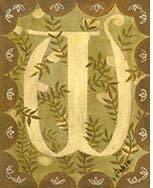 James, here, is James “the Greater,” the son of Zebedee and the Apostle John’s elder brother. In today’s Scripture, James becomes the first apostle to be martyred, and he is one of the most celebrated saints because of it. He was known to have a fiery temper; he was called “the son of Thunder,” and it might be this trait that got him killed so early. Other historical sources state that James traveled to Iberia (which was a major stop on Phoenician trade routes) before he returned to Jerusalem and death. He is the patron saint of both Spain and pilgrims. In both today’s paintings of him, he is pictured wearing the cloak of a pilgrim, with a pilgrim’s hat and staff. This honors the long journey of his remarkable mission, so early in the Apostolic age. 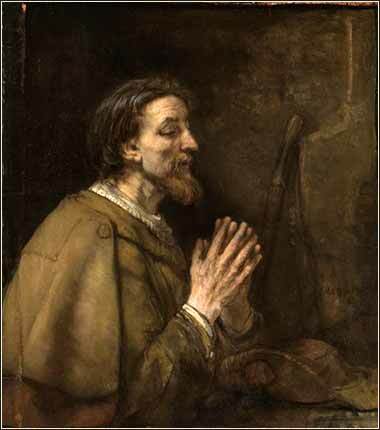 The Apostle James (the Elder), by Rembrandt ca. 1665.